Supreme Court of India on Thursday asked the Tamil Nadu Government to take up certain ameliorative measures to address the agony of the farmers in Tamil Nadu. 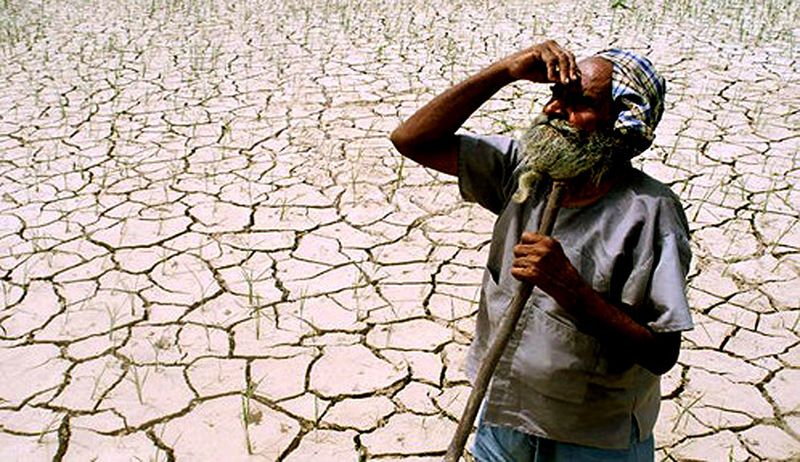 The Bench headed by Justice Dipak Misra was hearing a petition seeking the Court’s intervention in matters relating to farmer suicides in the state of Tamil Nadu. The petitioner submitted that the Madras High Court has failed to appreciate the real grievance that was highlighted in the writ petition and has disposed of the same by directing the petitioner to obtain information under the Right to Information Act, 2005. It is highlighted in the petition that it is the obligation of the State to address the distressing conditions of the farmers who are compelled to commit suicide for many a reason. The Bench said the petition depicts a picture which has the potentiality to disturb the conscience of any sensitive soul, for it relates to deaths of farmers, which has its significance in a society where agriculture is of paramount importance and most of the farmers exclusively depend upon the same for their sustenance. The Bench has appointed Advocate Gopal Sankaranarayan as Amicus curiae in the case. The bench observed that the State stands on the position of a loco parentis to the citizens and when there are so many deaths of farmers in the State of Tamil Nadu, it becomes obligatory on the part of the State to express concern and sensitiveness to do the needful and not allow the impecunious and poverty stricken farmers to resign to their fate or leave the downtrodden and the poor to yield to the idea of fatalism. “The concept is alien in the welfare State and the social justice which is required to be translated in a democratic body polity. As is manifest from the assertions and the grievances that have been agitated, deaths are due to famine backdrop and other natural causes and also due to immense financial problem. The State, as the guardian, is required to see how to solve these problems or to meet the problems by taking curative measures treating it as a natural disaster. Silence is not the answer”. The bench has granted two weeks time for service of notice.The bench observed that it will be appreciated if the state come with certain schemes/measures by the next date of hearing. “We say so as there is an expectation on the part of the citizens that the State shall come to their aid when such a catastrophe occurs and the State's response must be in promptitude so that the gravity of the situation does not get a geometrical progression which may later on become difficult to handle”, the Court added.